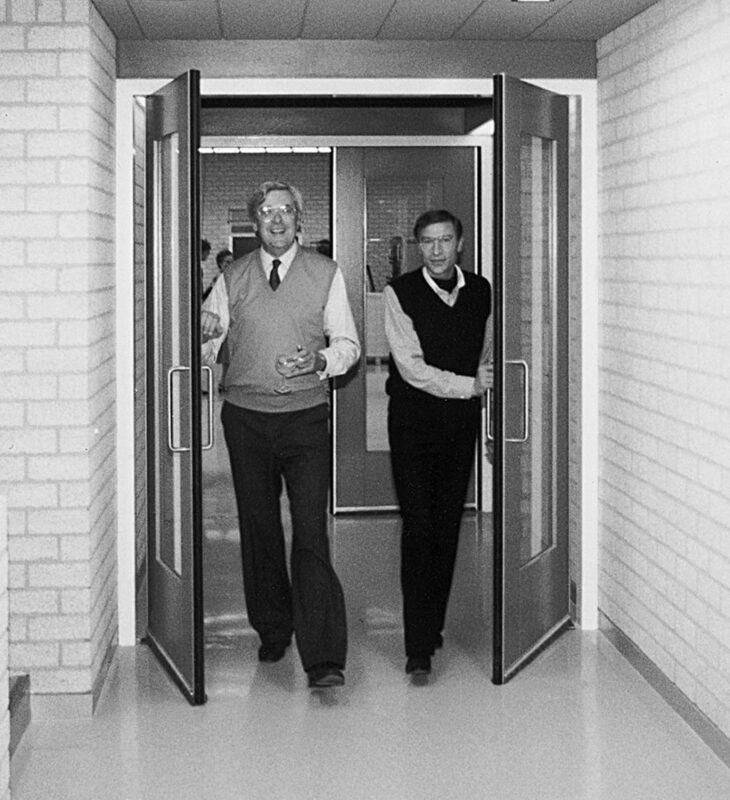 When he was still a printer, Frans Spruijt (1923-2009) was devoted to always deliver the highest quality and willing to be engaged with exceptional projects. 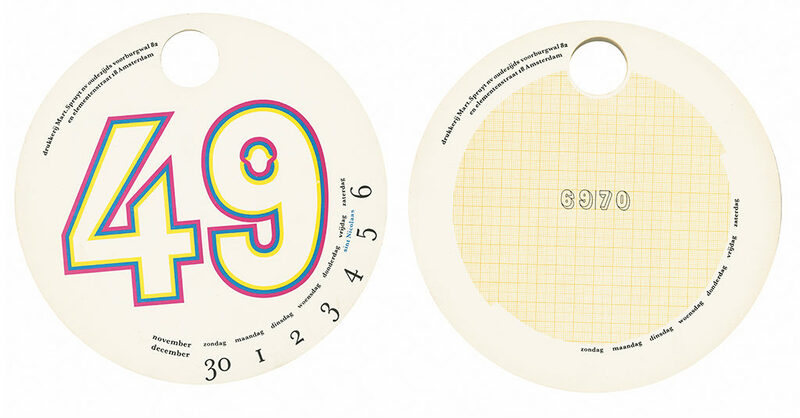 The remarkable Spruijt calendars, the exhibitions he organized in his printing house and many, many of the publications he produced gave testimony of this devotion, his love of type setting to perfection and new developments in graphic design. Frans Spruijt was a highly esteemed advisor and a member of many an institution’s board. Spruijt was born in 1931 on Amsterdam’s Oudezijds Voorburgwal, where his grandfather had founded a printing office in 1906. The house looked out on the Lange Niezel alley, often the scene of drunks being kicked out of a bar or Chinese women who still had their feet bound. Spruijt’s first memories of his father’s business date from 1944. Three employees of the famous literary publisher De Bezige Bij were standing at the presses. One of them was its founder, Geert Lubberhuizen. Spruijt’s father’s shop was small and letterpress was still the production technique. A little later, it moved to 82 Oudekerksplein. Frans Spruijt was twenty when he entered the family business, after finishing secondary school and graphic school. Type was bought from a type setting company operating a Monotype machine, which also took care of replenishing the case of single type stock. At Drukkerij Mart. 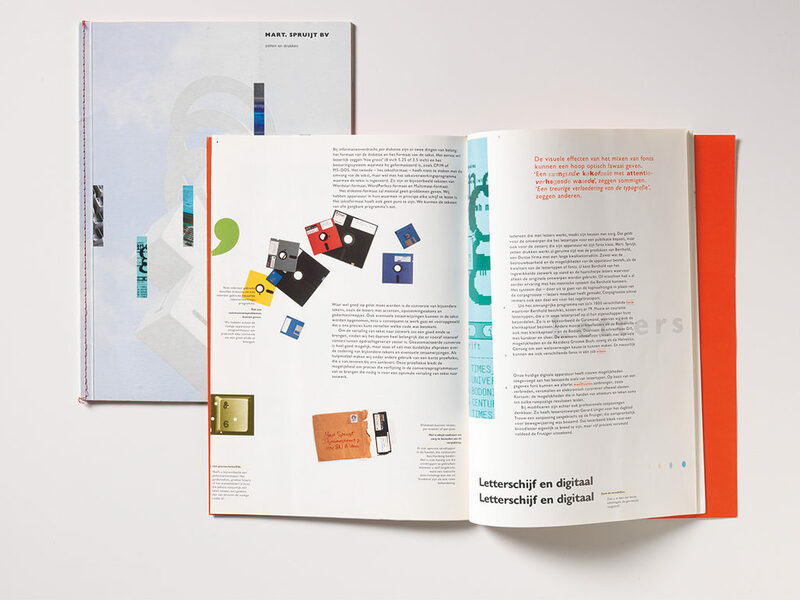 Spruijt quality typesetting was considered essential in delivering high-quality print. Spruijt was one of the first printers that switched to offset, using a Heidelberger cylinder automatic press, a KORD (not considered a ‘real’ offset machine yet). 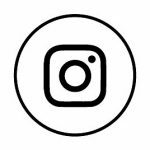 After taking over Schreuder offset printing in the Amsterdam West’s Elementenstraat in 1965, a company whose switch from letterpress to offset came too late for survival, Spruijt was ready to extend his client list. With Schreuder came KLM Royal Dutch Airlines as a client; ad agencies such as Walter Thompson were already among his clientele. KLM had forms printed on Spruijt’s Heidelberger (using paper offset plates); an IBM Composer, the one with the ‘golf balls’, was used for typesetting. They produced good quality fast, which attracted paint producer Sikkens for their manuals. Where traditional letterpress was slow and offered just one standard quality, the new technology could deliver a choice of quality levels at a higher speed and a lower price to boot. Not that many clients in those postwar years were demanding high-quality products; the large demand for print did not stimulate a lot of attention to quality improvement. Most colleague-printers did not own their own Monotype typesetter and small-press offset wasn’t taken seriously yet. Spruijt was able to benefit from the gung-ho atmosphere and economic development in the Netherlands after the war. These were golden years for enterprising printers such as Spruijt, who had ambition and invested in new technologies that could guarantee a technical and esthetical top quality. ‘I witnessed how colleagues missed the boat. Trio in The Hague for instance,’ says Spruijt. ‘Such a great printing shop. A pity they fell victim to the dialectics of progress.’ Asked about the future of the profession from the perspective of 2007, Frans Spruijt predicts that the improving quality of the photocopier will have a decisive impact on the printing industry. 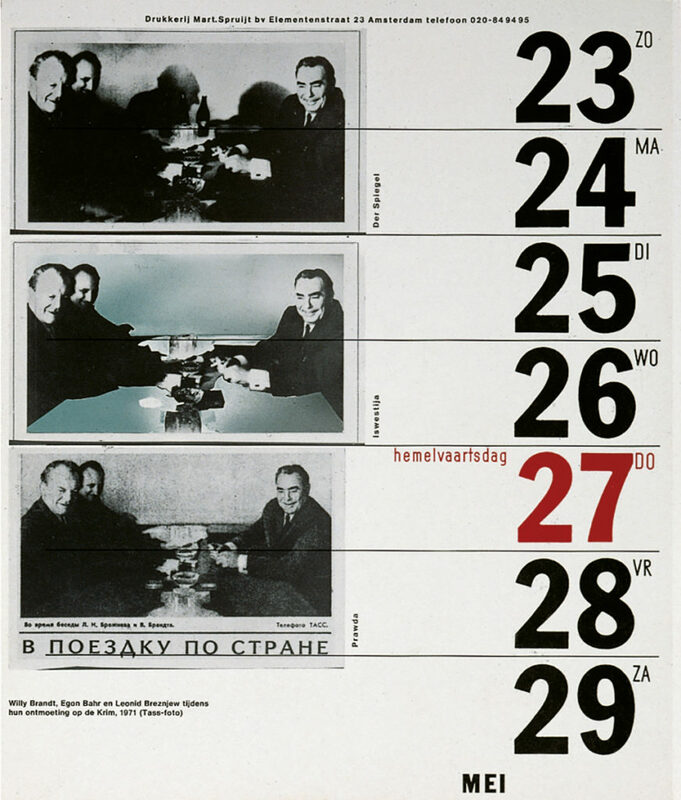 One calendar, in 1974, invoked heavy criticism from Dolf Stork, then the director of the Stadsdrukkerij Amsterdam. Van Toorn had added a hawk to Moshe Dayan’s face. Dayan was Israel’s foreign secretary. ‘Stork interpreted the image as a statement condemning Israel. Designer Otto Treumann, who was Jewish, refused to set one more step across our threshold. I myself had problems with accepting a calendar page design depicting the faces of princes Beatrix and prince Claus on the bodies of queen Juliana and prince Bernhard. 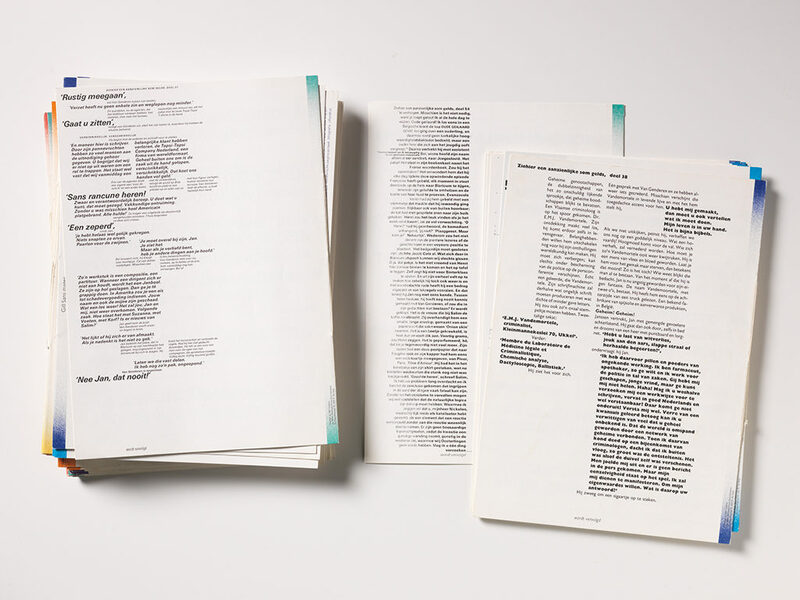 In the end we opted for a blank page.’ Frans Spruijt’s expertise of typography and typesetting expanded Van Toorn’s professional knowledge: ‘I taught him how to space small caps.’ Their collaboration stopped after nineteen calendars because Van Toorn’s choice of subjects became more and more radical. 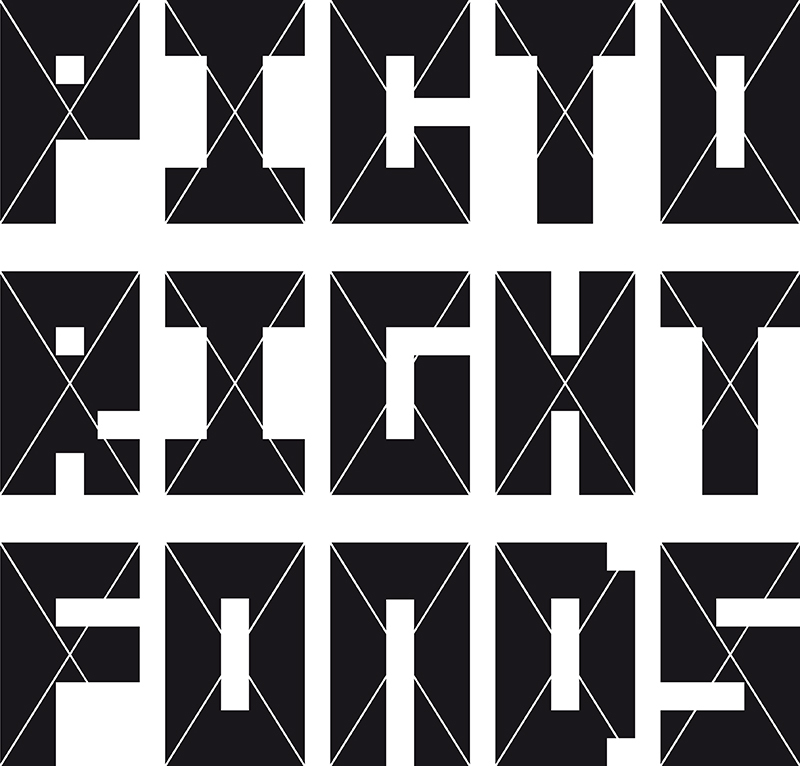 Paul Mijksenaar was commissioned to design a new series and Spruijt greatly enjoyed his conversations with Mijksenaar. After the first three calendars, with logos, manuals and mapsas subjects, the fourth Mijksenaar calendar in the serieswas Nooit Bij Stilgestaan [Taken for granted] in 1985/1986. It presented appliances of which the original designer, if any, was unknown. 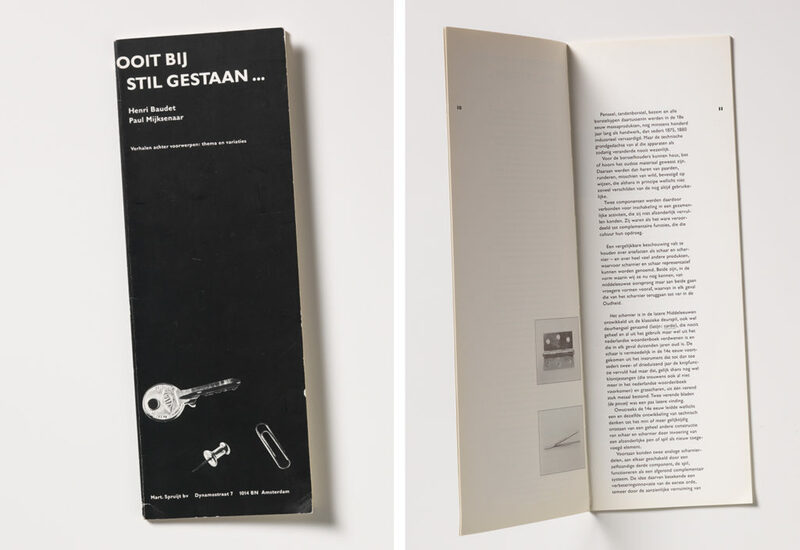 Later a book followed titled Ooit Bij Stilgestaan [Not taken for granted], in which Henri Baudet, professor of human-product interface at Delft University, explained the history of these products. Spruijt: ‘Baudet knew everything about, for instance, the corkscrew. But when after a meeting I advised him to follow me to the easiest way out of Amsterdam, he followed the wrong Volvo.’ Later came calendars designed by Toon Michiels and Hard Werken/Studio Dumbar/Anthon Beeke. The last one produced under Frans Spruijt’s directorship was designed by André Toet and Marianne Vos (Samenwerkende Ontwerpers). Drukkerij Mart. Spruijt was also well-known for the exhibitions they organized at their printing office. A small task group, consisting of Spruijt himself, Tijmen van Grootheest, Jan Kohlman and Jan van Toorn, curated some ten exhibitions, of which Selma Klein Essink was the organizer. 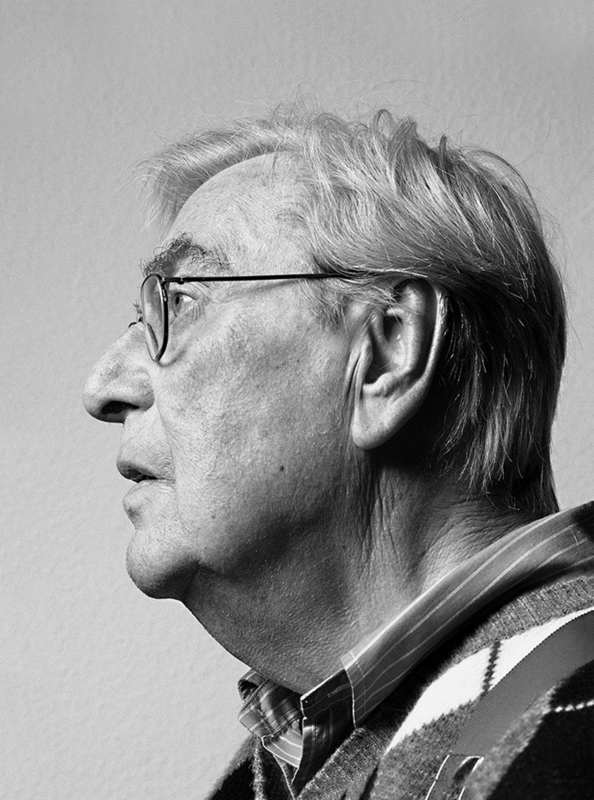 The theme of the first exhibition was the design of Jan van Toorn. It was followed by a show of posters painted by the artists collective V2 and by a show about Visible Language magazine. Spruijt specifically remembers the exhibitions about design and music, Belgian designers, and Narcisse Tordoir’s oeuvre. The publications accompanying these shows were veritable sources of inspiration. 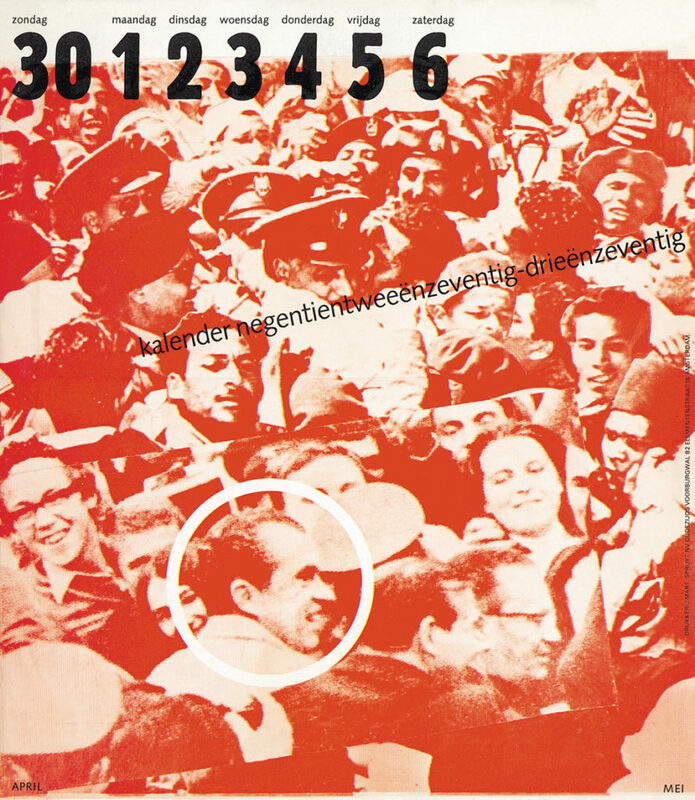 Spruijt produced a brochure about typesetting and layout when using Bertholds; graphic designer Ton Limburg wrote and designed it. 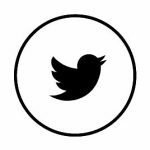 They carefully selected fifteen fonts from Berthold’s offering of 1200, and showed how the use of the millimeter scale was to be preferred over the cicero scale with its twelve steps. 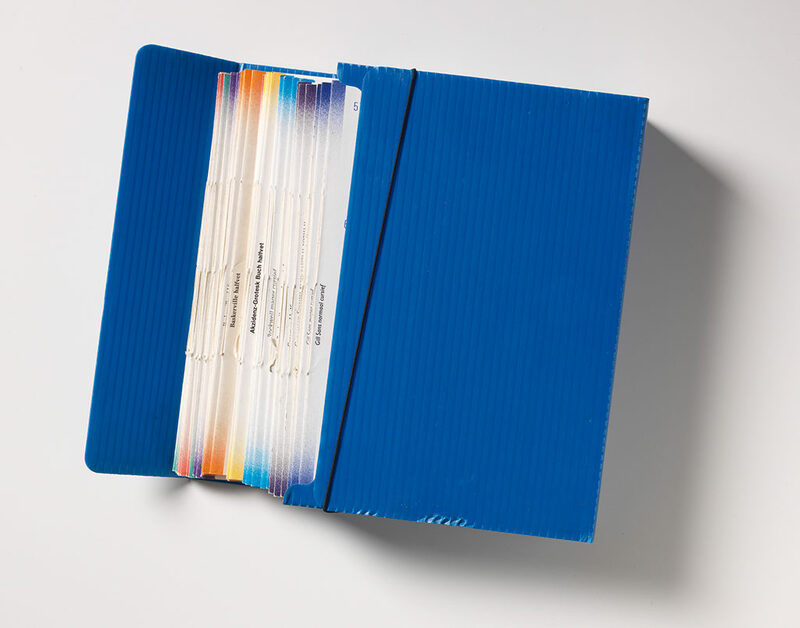 Later, they also made an accurate typographic ruler and sketch book using millimeters. Spruijt had no problems making friends in the cultural sector. ‘You got to see beautiful things, you got to meet great and interesting people, and eventually you would be awarded with wonderful projects.’ That’s how he met architect Thijs Asselbergs, who had founded the design magazine Items with some friends in 1982. ‘They had absolutely no money to spend, so we adopted the magazine. Then I always got to see these great designs. When I needed a walking stick, I bought the one designed by Ruud Jan Kokke that I’d seen published in Items. Spruijt was deeply involved with Koninklijke Verbond van Grafische Ondernemingen (KVGO), the graphic industry’s branch organization. Taking an active role in their education and exam committees, he met scores of colleagues and was kept up to date on all developments in the industry. 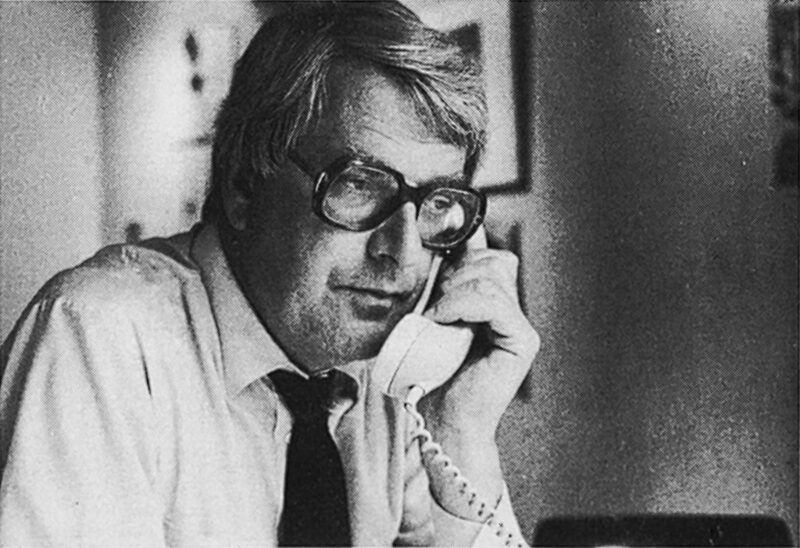 Later, he also was a member of the editorial council of Drukkersweekblad [Printers’ Weekly] and the Kerstnummer Grafisch Nederland [the special Christmas edition of the magazine, which always attracted much attention]. Of course Spruijt has a similar opinion about the yearly awards for the Bestverzorgde Boeken (Best-designed books). ‘Fine with me. Important, yes. But why not award prizes to, say, dictionaries or cook books; such books are not easy to produce.’ Frans Spruijt himself was awarded the first Grafische Cultuurprijs (Graphic culture prize) for people who have made an important contribution to the graphic sector in the Netherlands. 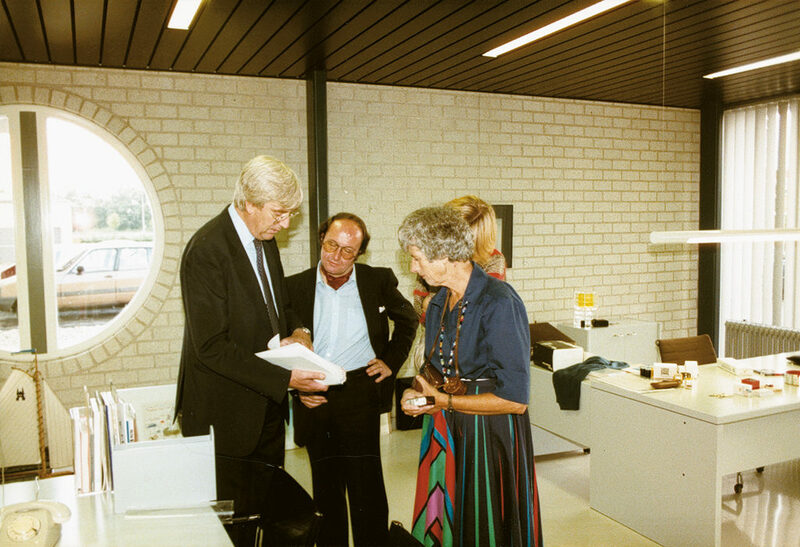 In 1991 Spruijt, as the first chairperson of the Grafische Cultuurstichting [Graphic culture foundation], organized national and international tours to printers who had built new production premises. ‘It is not only the architecture itself that deserves attention, it is important that the work space is excellent. Drukkerij Lecturis, owned by my colleague Henk van Stokkom, is a shining example. The building and its usage tell the same story. Too much design can be destructive: it creates a visual noise that distracts and distorts. You don’t need that.